Mindy's fitness Journey: Arise! Change is coming! So today I will post it... I have to change. I have traveled down an unhealthy road and I don't even recognize myself. I know that others see me this way, but I still see the fit and healthy girl I used to be. I am ready to see her again! I am ready to "consecrate" myself. Just like Joshua told the Israelites in Joshua 3:5. 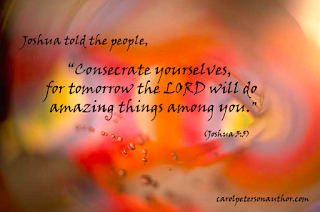 "Consecrate yourselves, for tomorrow the Lord will do wonders among you." 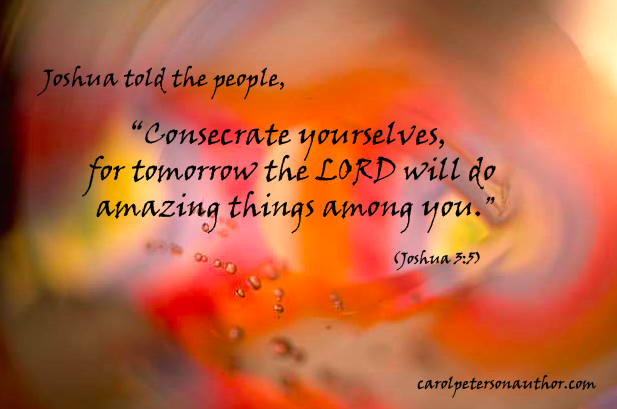 Consecrate means make or declare (something, typically a church) sacred; dedicate formally to a religious or divine purpose. I see this as me saying loudly that I am done being unhealthy. I am ready to treat the body that the Lord gave me as I should treat it. I realize that the Israelites were preparing for something a whole lot bigger than my health, but as I have been reading through Joshua with the help of a devotional written by a good friend. (Move! When God's Deliverance Requires Man's Obedience 31 Devotions by Amy Rogers) As I have been reading, I have been hearing God tell me that I need to put Him first. I need to take care of what He has given me. I have not. I have been taking all that I wanted without even thinking of Him. I am not 100% sure of how I am going to start this, but just as God told Joshua in 8:1-2, I just need to go. I don't need to think about it. It's time to arise! thanks for sharing the nice post! This is the right time to start anew journey to start now you can start from the link given blow.